Reggie has been homeless in Charlotte for 8 years. 2 years ago he heard about The King’s Kitchen & Bakery and walked through the doors for the first time to attend church services on a Sunday. Reggie doesn’t want to be defined by his homelessness, however. He loves tennis, Gladys Knight, teaching geometry and wind waves, martial arts, and Splinter from the Teenage Mutant Ninja Turtles. 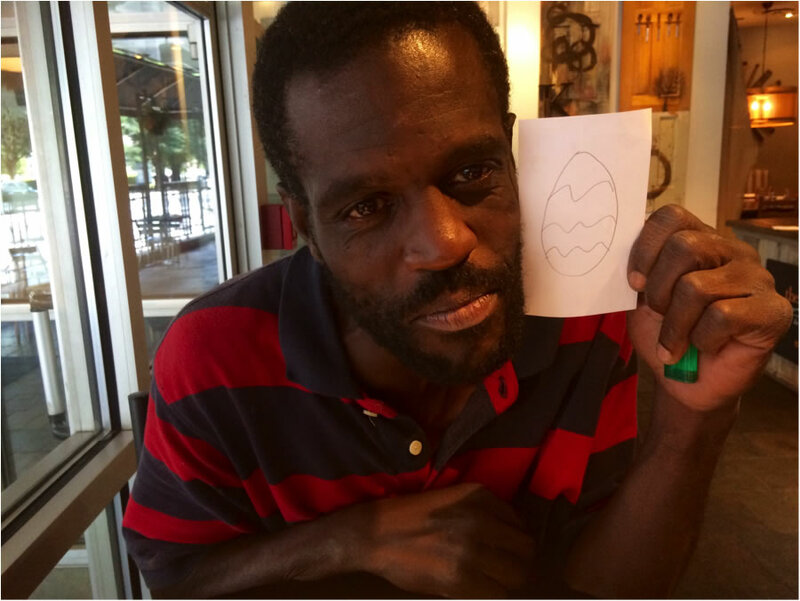 He laughs when he says that he loves drawing eggs (a recent drawing is featured in his picture below) and that if he could do anything with his life he would stop smoking and become a math and science teacher.